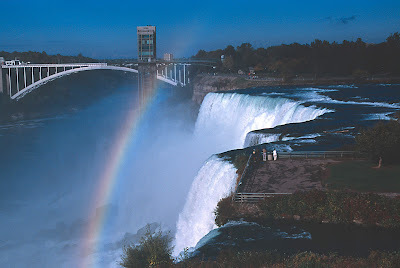 Porter Airport Limo also offers The Niagara Falls Tours which is one of the top most tourist attraction in the world. If you are planning to go to Toronto or already present in the city, take out some time and visit the wonderful creation of nature. Niagara Falls Tours are extremely popular among the tourist. The falls are truly stunning and you will surely experience the real thrill and the excitement. Moreover, if you are really interested in the nature and its beauty, you will surely enjoy the tour with BEST Toronto Tours and Limousines. If you would like to visit the falls and want to explore the adjoining areas, hire a renowned tourist guide with BEST Toronto Tours which is easily available in the area at a very genuine & affordable price. We offers numerous online tour packages which will be helping you for getting a better and cost-effective tour package for your entire family to enjoy the grandeur and power of the great Niagara Falls during your visit. Niagara Falls is one of the best tourist places in the world and that is why people pour in large number and visit this exotic location. Tourists can visit very feasibly to The Niagara Falls Tours from Toronto and other beautiful places around it through the services provided by us. The visitors can avail the transportation services anytime i.e., 24 hours a day, 7 days a week with the most modern swift of vehicles in the Niagara Falls area through BEST Toronto Tours and Limousines.